Simon Snow is trying to enjoy his last year at Watford School of Magicks, but no one seems to be on his page. His mentor, The Mage wants to hide him away to keep him safe from the magickal war that is threatening to break out, his girlfriend of three years has just dumped him and his room mate, who could quite possibly be a vampire seems determined to try and kill him off at every given opportunity, not to mention the various other magickal evil creatures that seem to be out to get him. For those of you who have read Fangirl (which I fricking love), the characters of Simon Snow and Baz will be somewhat familiar as they are the focus of Cath's fanfiction. If you haven't read Fangirl though this still makes for a great standalone story. I have such mixed feelings about this book. 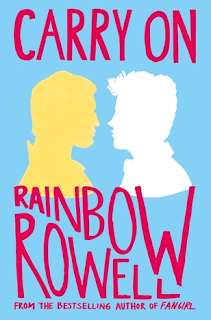 There is no denying that Rainbow Rowell is a fantastic writer and can tell a story well, but I found the first quarter of this book quite dull and a drag to read. This could be because the story is set in Simon's final year at school, so it takes quite a while to build up the back story and establish a sense of familiarity with the characters. There were also points in the book when this really did just read like fan fiction. It was just slightly to fantastical and exaggerated to read seriously, but further in the book it all pulls together and seems normal to the world. It's a bit hard to explain, but I think if you read the book you will get what I mean. Despite the slow start I found the second part of the book to be gripping as the story evolved and finally got moving. The things that all seemed silly at the start started to make sense too, and its funny because this deals with some pretty heavy topics such as politics and being gay etc too all with this weird fan fiction vibe. As I mentioned too, Rainbow is a great writer and this takes such a different tone to the previous works I have read by her. She does quite a good job of taking on the personality of an English student in their final year and the language never seems forced and the pop references in there work so well. 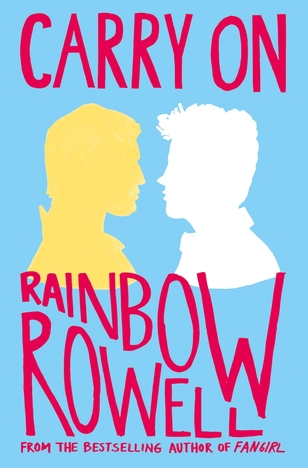 I think Carry On is worth a read, even if it is slow to start but I can't say I enjoyed this anywhere near as much as Fangirl and had difficulties with it at times. That said it is not a bad book by any means and I still liked it, just not as much as I had hoped.